Technically, after the ban comes into effect on July 1, you can supply customers with a plastic singlet bag which is 35 microns thick, however the NRA strongly recommends that you consider alternative options due to the risks involved. The current legislation bans all plastic bags, including biodegradable and compostable bags, less than 35 microns thick. However, the NRA believes that retailers who use lightweight plastic bags close to 35 microns thick (and suppliers who promote them) are exposed to some risk as thickness can vary not only on one bag (eg. handle vs body) but per batch. It will be at the regulator’s discretion to measure multiple bags as well as multiple spots on a bag. If a bag is deemed to be below 35 microns thick by regulators, the retailer will not be allowed to use these bags and fines may apply. The NRA have tested several lightweight singlet bags on the market that are promoted as compliant, and many of them fall below 35 microns somewhere on the bag. The legislation also provides scope for regulators to prescribe other bags to be banned bags in the future (see Section 99B-1b). The NRA believes that this poses some risk for retailers (and suppliers) who choose to use lightweight plastic bags that appear very similar to banned bags as consumers are likely to consider them ‘single-use’, regardless of whether “reusable” is printed on them. This could result in consumer backlash or retailers being stuck with large quantities of bags deemed banned at a later date. National companies should be particularly wary of choosing bags close to the micron threshold as other states may choose to increase this threshold, meaning national companies would need different bags for different jurisdictions. For example, the Western Australian government will implement a ban on lightweight plastic bags less than 36 microns from 1 July 2018. The Queensland Government received over 26,000 submissions to the discussion paper. Of these, 96% were in favour of a bag ban. This, and other consumer trends, indicate that consumers increasingly want businesses to be environmentally-responsible, not just compliant. Consumers are unlikely to be able to tell the difference between banned bags and technically compliant 35-40 micron singlet bags because they look and feel like banned bags. These bags could even be perceived as ‘skirting’ the intent of the ban. The financial ramifications of going against consumer trends could be substantial. Alternative bags like paper, cardboard and heavyweight plastic bags cost more – up to 1000 times more. However research shows that consumers are increasingly willing to pay a small fee for a genuinely reusable bag varying from approximately 15 cents for a heavyweight plastic reusable bag to several dollars for cloth or ‘green’ bags. 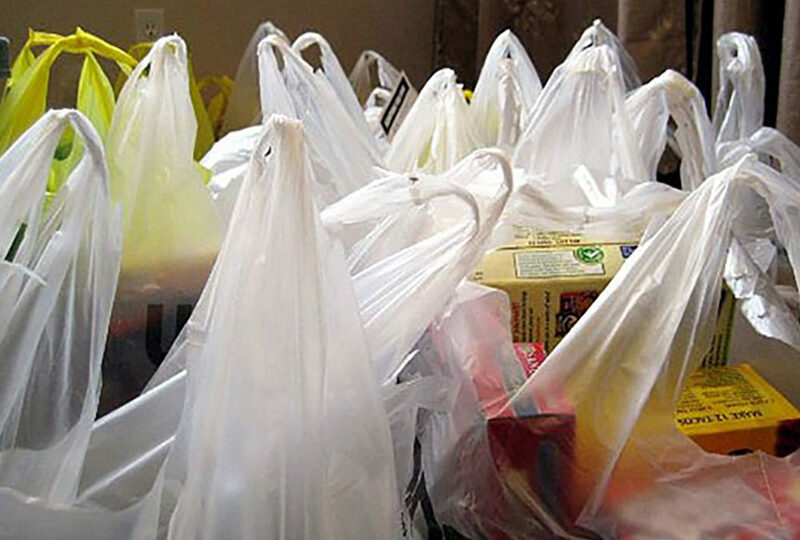 On the flip side, consumers are reluctant to pay for lightweight plastic bags that appear very similar to banned bags, even if they are more than 35 microns. Many retailers are seeing this ban as an opportunity to change long-held expectations of ‘free’ bags, introducing better quality alternatives, charging a small fee, and therefore making this part of their business cost neutral (rather than an unavoidable cost of doing business). If you do choose to use a 35 micron plastic bag, the NRA recommends getting the micron count from your supplier and some form of guarantee from them that the thickness will always be 35 microns or more – all over the bag and in every batch. The legislation includes fines for suppliers who provide false or misleading information. Please note that if your bags are found to be non-compliant, you will need to stop using them regardless of supplier evidence or the volume of stock you have ordered.